Five-input, 4K/UHD universal switcher Atlona AT-UHD-SW-510W Multi-Format Switcher empowers BYOD by combining wired and wireless connectivity. Atlona Velocity platform for IP-based AV control which leverages IT infrastructure is now shipping and available through Atlona partners. With video collaboration and BYOD gaining traction, traditional, non-remote meetings have become “bored-room” events. NEC Collaboration powered by ThinkHub aims to foster more engaging, productive meetings. 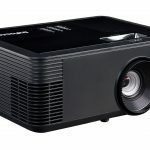 InFocus’s four new projector lines — IN2120x, IN5148H, IN120x and IN1110 — each include LightCast technology which allows native casting for AirPlay, Miracast, or Chrome to wirelessly display content, enabling anyone to cast content from their own device. 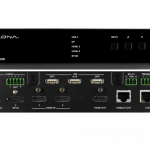 Atlona is preparing for InfoComm 2017 where it will debut cloud-based control solution Velocity and BYOD offering AT-UHD-SW-510W while emphasizing AV-over-IP line OmniStream and collaboration product AT-UHD-CLSO-840. When helping your commercial business clients implement BYOD into their offices, it’s important to consider how they are going to support and protect various amounts of devices on the network. Update includes several new features while encapsulating all available screen mirroring methods, according to Wolfvision. WePresent’s booth #N663 is displaying three wireless presentation solutions that offer easy installation, BYOD capabilities, ease-of-use and affordable price points.